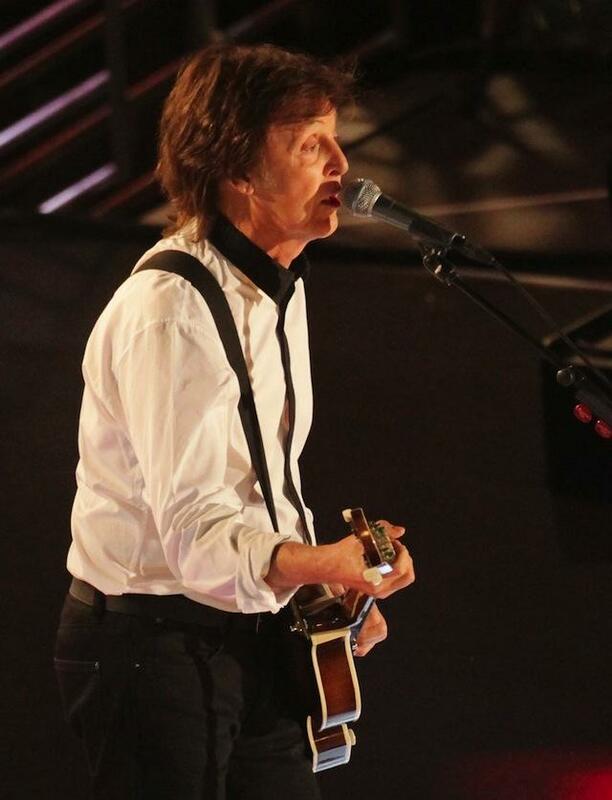 Closing down Hollywood Boulevard in Los Angeles is usually reserved for a guy in a Batman costume clobbering a guy in a Spider Man suit, but Monday night’s Jimmy Kimmel Live closed it for a Beatle in a “New” costume. 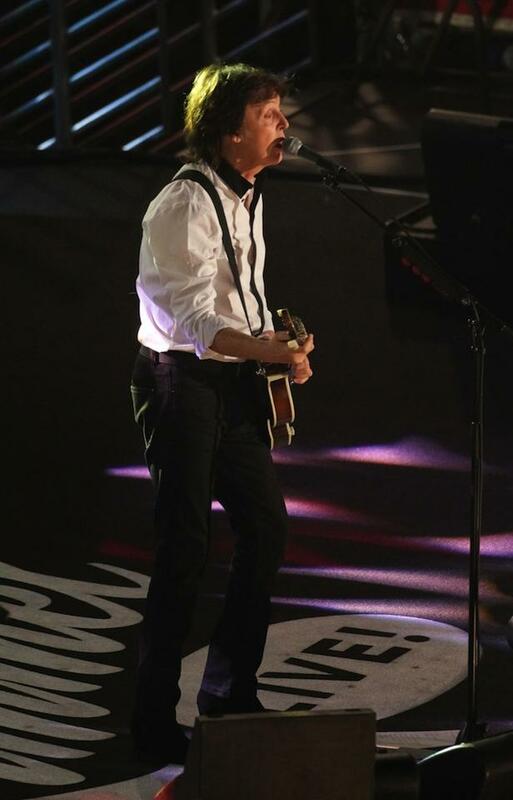 Sir Paul McCartney played to several thousand fans and millions more on national television, when he joined Kimmel for his first appearance on the hit ABC show. 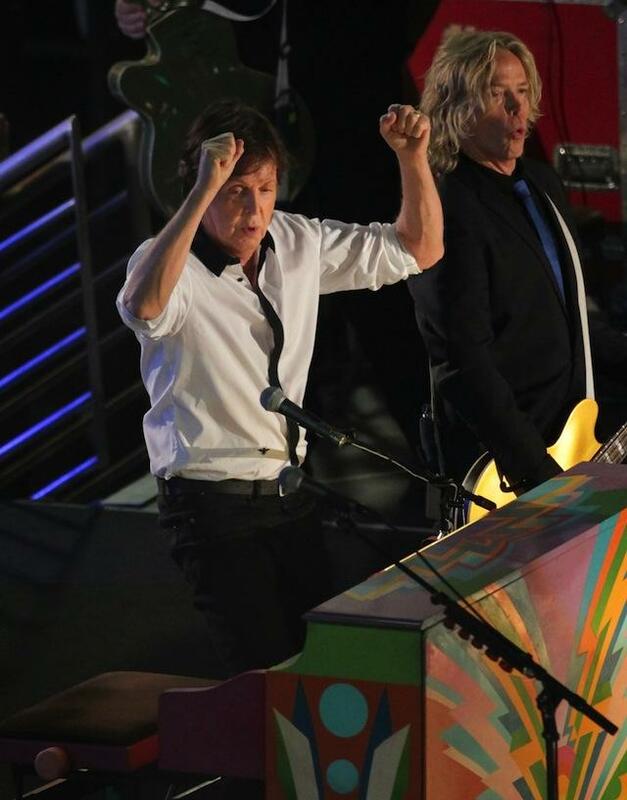 Paul joined Jimmy for the open to throngs of screaming fans. As he and Jimmy looked down on the frantic crowd, Kimmel professed, “they really love me”. The love, love, love carried over to the third segment of the show when Paul joined Jimmy at the desk to chat about his earliest job (riding 2nd man in a lorry), writing his first song with John (“I Saw Her Standing There”), and talking about how hard it was to get a date in the pre-Beatle days. 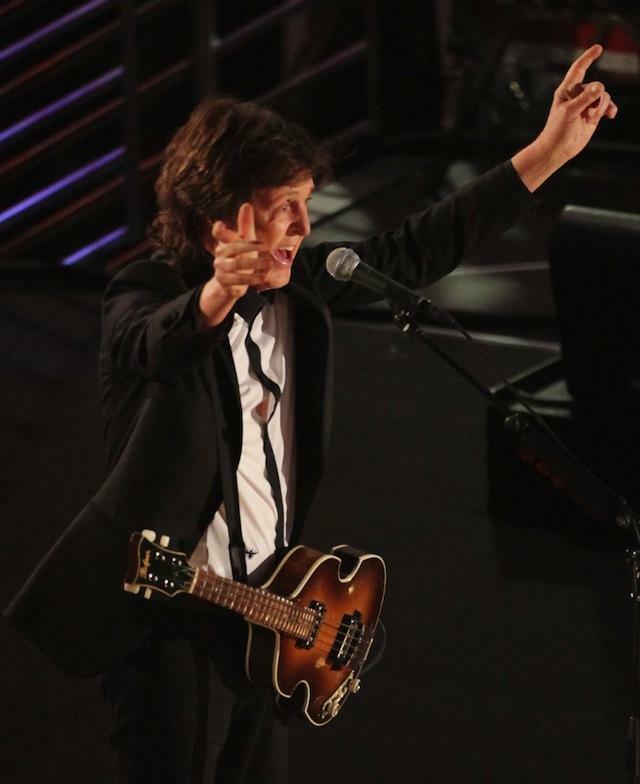 Paul reminisced about Beatlemania in L.A. in 1964. Jimmy reminded him that they met Elvis that year, but stood corrected by Paul who told Kimmel, “you’re telling me that from research, I’m telling you from memory”. The correct year, of course, was 1965 in Bel Air. Paul proved his memory is not almost full, as he told another story about attending dance parties with George, hoping to dance with girls. He DID however, get the street dancing when he launched into 14 tunes, two of which made it on the broadcast, “New” and “Lady Madonna”. 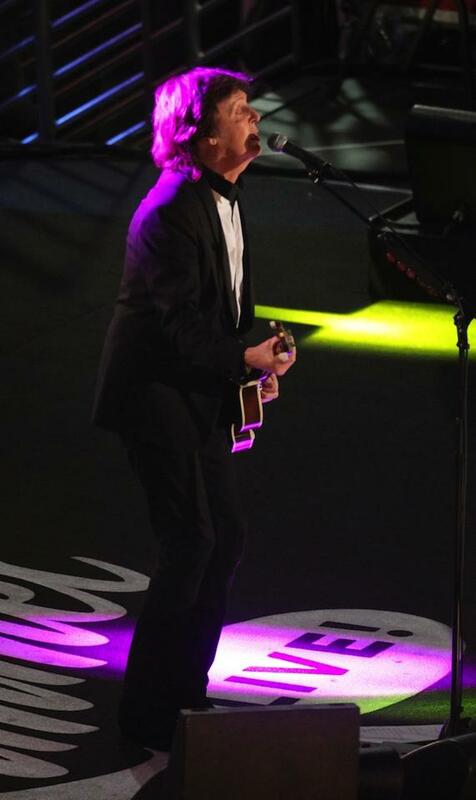 Check out the pics from last night’s performance. Paul is set to appear on a live session for BBC Radio 6 on October 16th as part of the “6 Music Live at Maida Vale” series. Paul’s “New” CD, “New” comes out October 15th. Here’s the color artwork, just released and Paul playing “New” live in L.A. This entry was posted in Uncategorized and tagged beatles, brian ray, jimmy kimmel, john lennon, paul mccartney. Bookmark the permalink.